Custer State Park Resort offers some of the best cuisine in South Dakota. Our expert culinary team at WR Restaurants, known for their Minervas Restaurants, carefully select and prepare only the finest ingredients and recipes. Our catering menu offers choices for breakfast, lunch, and dinner. We also have a wide range of snack items, desserts, and beverages. All buffets include a gourmet coffee and iced tea station. No outside food or beverage is allowed in any of the Custer State Park banquet rooms, and all catered food must be ordered through Custer State Park Resort. We do, however, encourage you to bring in your own wedding cake and decorations. Food minimums apply to each of our reception locations. Minimums vary based on your date, so contact us online or at 605-255-4672 for details. 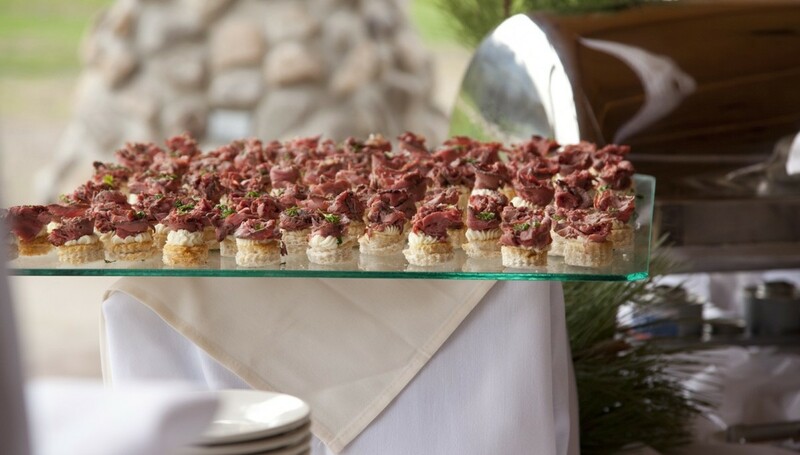 Custer State Park Resort offers full bar service at all banquet events. Liquor, wine, and beer are served and can be in the form of a cash or host bar.